The following UNM Newsroom article highlights the recent work of doctoral anthropology student Holly Brause, whose research was partially supported by a Field Research Grant from the Latin American and Iberian Institute in 2016, during which time she traveled to Chihuahua, Mexico, in order to examine chile production. The article was originally published on September 27, 2018, as "UNM researcher delves into water politics affecting our state’s most beloved crop," by Katie Williams. We are pleased to reprint it here to highlight her accomplishments. Doctoral student Holly Brause packed her trunk this summer and hit the road for a lengthy drive down south. While most students travel for fun and to relax, Brause made the trip to roll up her sleeves and get to work on understanding how water issues are affecting New Mexico’s most treasured, above ground, resource. The uncertain future Brause is focusing on is that of agricultural production here in the state, with a special emphasis on the chile industry. With agriculture being the single biggest water user in the U.S. and here in New Mexico, she hopes to understand how water is used to grow crops in southern New Mexico, but most importantly for a cultural anthropologist, how the precious resource is administered. Brause is based out of Las Cruces for the next 10 months, completing her ethnographic research. 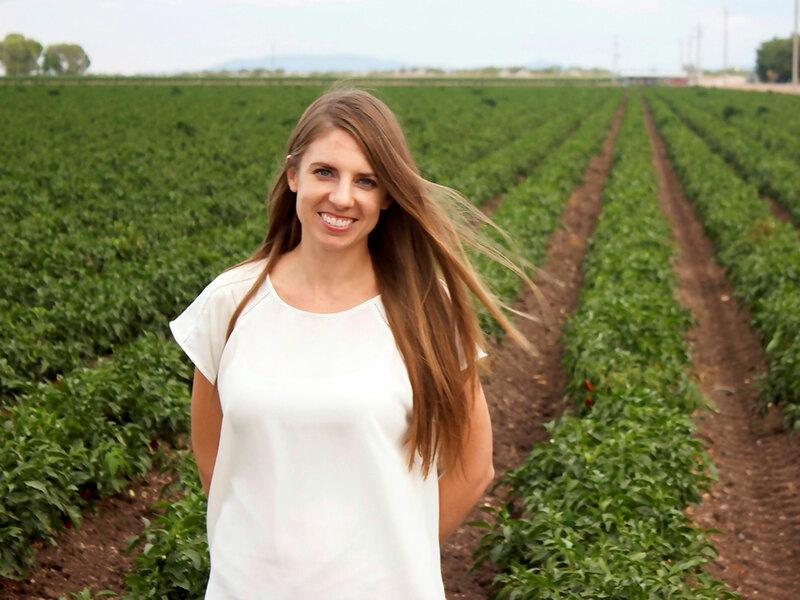 As part of her research, she travels the southern part of our state picking the brains of growers, industry leaders, scientists, field laborers, and agricultural lenders on the chile business and how water is of the utmost concern. One notable finding from her interviews is the focus on the future. Brause is able to work on her project entitled, The Everyday Politics of Irrigated Agriculture and an Uncertain Future, with her advisor, UNM Professor David Dinwoodie, thanks to a $6,000 grant from the New Mexico Water Resources Research Institute (WRRI). The WRRI provides support for water-related research through its Faculty and Student Water Research Grant Programs. Funds are made available through the institute’s federal base grant and through state appropriations. The funded projects allow New Mexico university faculty and students to pursue critical areas of water resources research while providing training opportunities for their students. The institute also participates in joint efforts to solve water-related problems along the U.S./Mexico border. Through its support of research and its interaction and cooperation with other water resources entities, the institute — located in Las Cruces at New Mexico State University — continuously strives to alleviate water problems, working toward ensuring an ample supply of high-quality water for future generations. Ultimately, Brause hopes this research sheds light on how farmers can best be supported in their efforts to adopt water saving techniques and technology and participate in water conservation efforts.